My co-worker Matt Thomas does great work. I’m not a big fan of my current Gravatar though. Hopefully I’ll find a better image to use by the time I run out of these and need more printed up. The QR Code on the back links to my Gravatar profile. 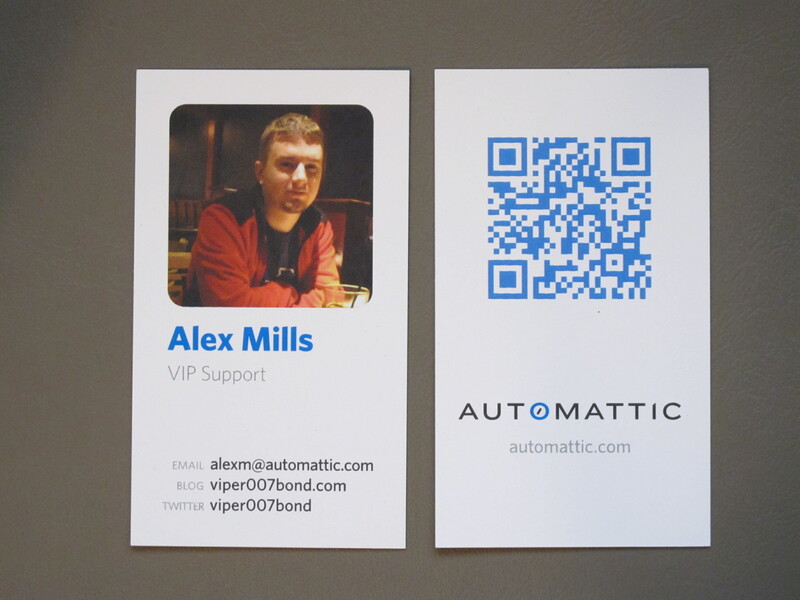 This entry was posted in Personal and tagged Automattic, business cards, Gravatar, Matt Thomas. Bookmark the permalink.